Avocado Veggie Egg Salad is an egg salad recipe that’s full of healthy fats, flavor, veggies, fiber, and nutrients. It’s a unique and lighter version of a traditional egg salad. It’s dairy-free, gluten-free, nut-free, soy-free, and easy to make! It’s the week before Easter, which for many of us means a week from now there is going to be a surplus of hard boiled eggs in our kitchens. 😉 Don’t get me wrong, I love hard boiled eggs. 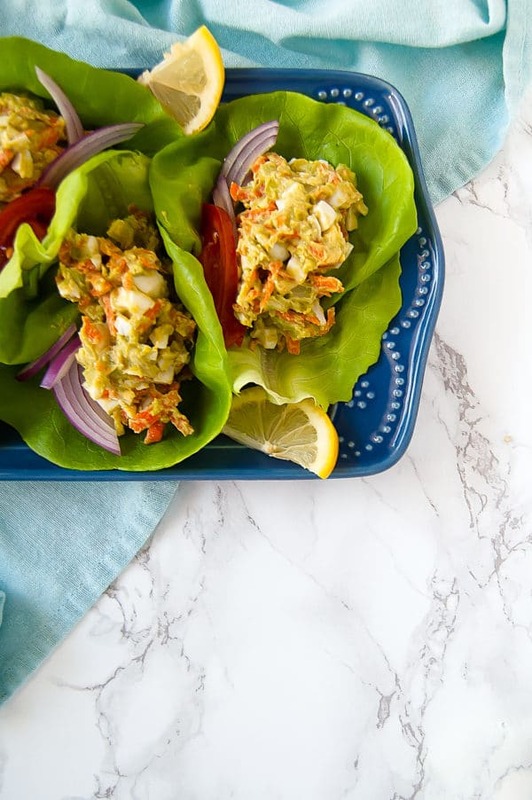 They’re a fantastic high protein snack, they’re delicious, you can turn them into deviled eggs and egg salad and….yeah. That’s usually when my creativity starts to take a hit. This year I vowed to get a little more variety in my post-Easter hard-boiled egg options, which is why I played around with this Avocado Veggie Egg Salad. It’s a fresh, light, and delicious take on egg salad. One big difference between traditional egg salad and my Avocado Veggie Egg Salad? It’s mayo-free. Now a little bit of mayo likely won’t hurt most people, but I know some folks reallllly don’t like the taste of mayo, so this Avocado Veggie Egg Salad is for you. 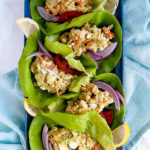 Instead of traditional mayo, this unique egg salad recipe uses a mashed avocado with all its heart-healthy fats, mixed with a little salt and pepper to taste, and a splash of lemon juice for a bright freshness. To continue to add some fresh flavor to this Avocado Veggie Egg Salad, I also added some fresh veg. Easter always makes me think of carrots, so I grated a fresh carrot to add some more flavor, freshness, texture, and fun to the salad. To add yet another layer of texture, I also added some minced celery – I love the little juicy pops of flavor it gives! If you’re not a fan of carrots or celery, you can either just leave them out completely or sub your fave veggies. Shredded zucchini would go great in here, as would thinly chopped radish, or even other fun add-ins like olives. Not even feeling eggs lately? 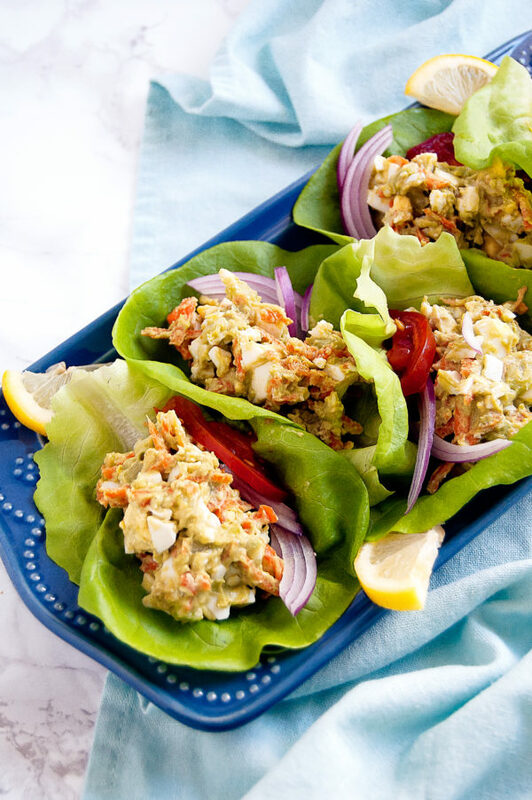 Try subbing with some garbanzo beans for a take on an egg-less egg salad! As with all my recipes and my overall nutrition philosophy – you do you to feel your best (and that includes what makes your tastebuds feel their best, too!) 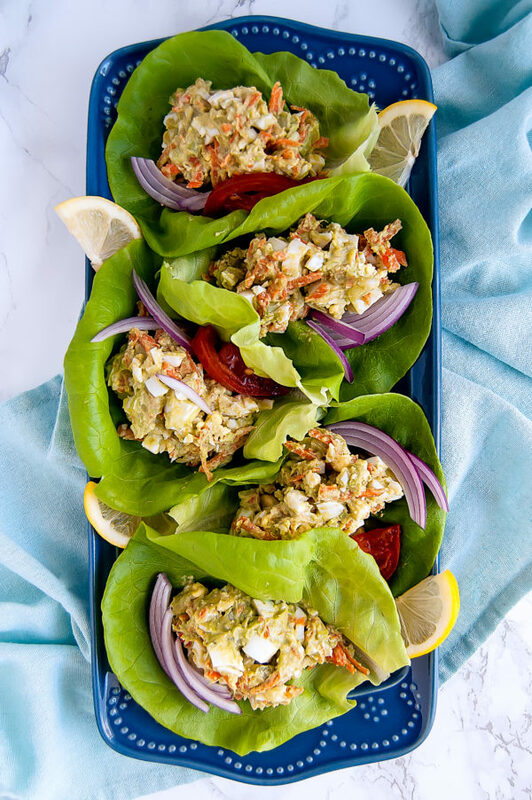 😉 If you make this Avocado Veggie Egg Salad, be sure to snap a pic and share what you think to the NTF Facebook page or on Instagram (tag @nutritiontofit and #nutritiontofit so I can see!) Live well! 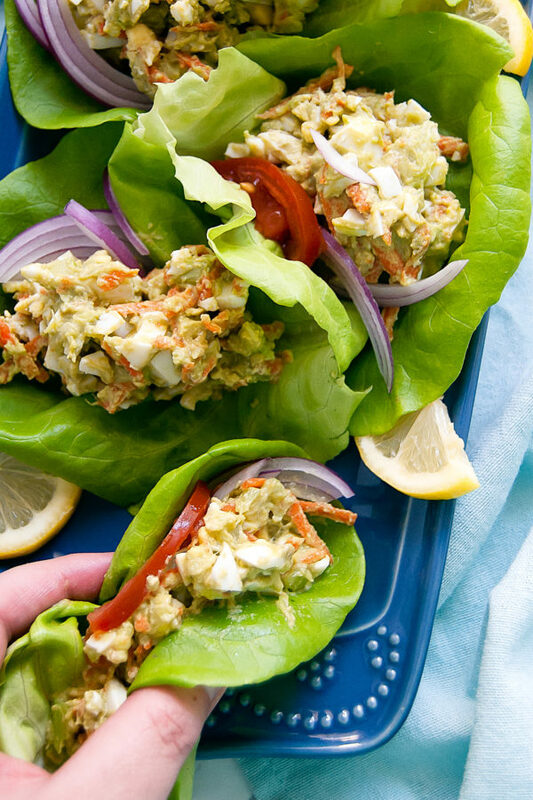 Avocado Veggie Egg Salad is an egg salad recipe that's full of healthy fats, flavor, veggies, fiber, and nutrients. It's a unique and lighter version of a traditional egg salad. Finely chop hard-boiled eggs. Combine with grated carrot and minced celery. Mash together the avocado and lemon juice and season with salt and pepper to taste. Mix the hard-boiled egg veggie mixture with the mashed avocado mixture and stir until it's evenly combined. Super easy and perfect for meal prep! one of my fave recipes for meal prep! Guess who has a bunch eggs that need to be boiled before they go bad? This girl! Can’t wait to make this! I love egg salad these days! And what a heart healthy way to boost their nutrition further with avocados! I love that this is mayo free and made with all natural ingredients! I also love that you share allergen friendly recipes, they are so helpful – thank you!